There are hotel facilities that aim to guarantee a special stay for their visitors, and there are others that even have the ambition to change the world and bring a significant change in the way of conceiving travel. plantlife, first 100% luxury resort vegan, pet-friendly and eco-friendly, which is scheduled to open in 2020, is coming to life in the enchanting setting of a tropical Thai island and could embody the next travel trend. PlantLife was in fact born with the mission of fulfilling the dream of any traveler in the world following an ethical, responsible, vegan and ecological lifestyle and who is looking for a holiday that is immersive, fulfilling and naturalistic, but at the same time equipped with every comfort. PlantLife five-star luxury resort will be built on the island of Koh Phangan in Thailand, in an extraordinary tranquil naturalistic oasis, characterized by breathtaking scenery. The location is not accidental as the island of Koh Phangan is considered the paradise of vegans in Thailand, full of locals and vegan restaurants. The structure will consist of 23 luxury villas, will include almost five acres of land for the production of coconut, will be powered exclusively by solar energy, will undertake to follow a policy of "zero waste" and the furnishings will be made with natural materials such as bamboo and organic cotton. In terms of catering, PlantLife guarantees 100% organic and vegan selections, authentic and delicious Thai cuisine dishes made with herbs, spices and always fresh local vegetable products, coming from the markets of the neighboring villages. To make this oasis of luxury, sustainability, wellness, relaxation and vegan cuisine even more special will be the presence of an animal shelter, which will house up to 100 cats and stray dogs saved on the streets of Thailand. PlantLife's ambitious project could see the light in 2020; the result depends on a crowdfunding campaign on Indiegogo, launched for the collection of 870 thousand dollars needed to build the resort. The luxury hotel, vegan and pet-friendly, travel trend 2019? The founders of PlantLife, the vegan environmentalists Joanna and Max Hellier, had this idea to fill what is in fact a travel industry shortage, or accommodation facilities where luxury and quality meet eco-sustainable and vegan-friendly services. But this hotel of change is not the only project of its kind. The London Hilton recently launched the first vegan luxury suite in England, while in Turkey will inaugurate a luxury vegan resort and eco-friendly with a yoga room, swimming pools, natural cooking classes and many other services. In short, after the boom of 2018 vegan cruises, we are ready to bet that traveling in a responsible, sustainable way and without giving up luxury could be one of the next trends of 2019. Like many national and international stars, it seems that too Ed Sheeran will open a restaurant. Thanks to worldwide success, the red-haired and melodic pop star decided to invest her money in a new business in London. One wonders if in addition to catering there will be exclusive and intimate live performances … dining by candlelight with Ed Sheeran in person who sings Perfect, wouldn't it be a dream? 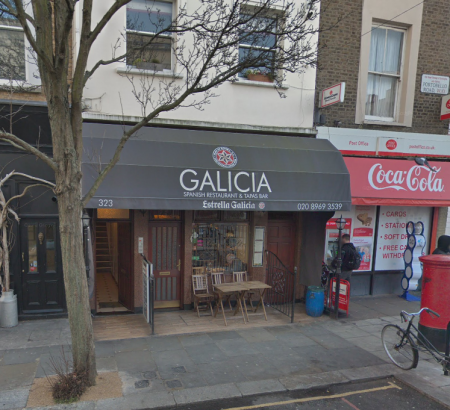 In fact, it is from the English press that we learn the news of the purchase of the Spanish restaurant El Galicia from Ed Sheeran. The Irish-born artist got his hands on the club of Portobello Road for the "modest" figure of one and a half million pounds at the end of last year. Opened in 1999 by José Nieto Alborés and Eduardo Lage Porto, the restaurant officially closed its doors in April 2018. The source reports that the renovation works are progressing well and it is assumed that it will be opened by the end of April 2019, even if at the moment nothing has been formalized. The project should include a bar, a restaurant and live music for a selected audience, probably a club for members-only. 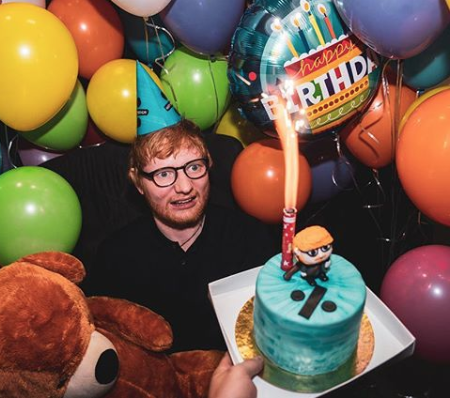 Passion for food & beverage Ed Sheeran not new to fans: in an interview with Apple Music with Zane Lowe in 2017 the singer revealed that he had a private pub built with a selection of draft beers. Moreover, it seems to have bought a farmhouse in Umbria with a vineyard. The list of artists that have been conquered by the fascinating (and profitable) world of food & beverage is long. The examples are many, from the Tagine in Beverly Hills of Ryan Gosling to the Ratanà of Antonio Albanese in Milan. Such as El Gaucho of Javier Zanetti or THEl Posteria of San Rocco of Rino Gattuso, even the soccer players have understood that it is better to foresee an alternative career when the time comes to hang the shoes on the nail. 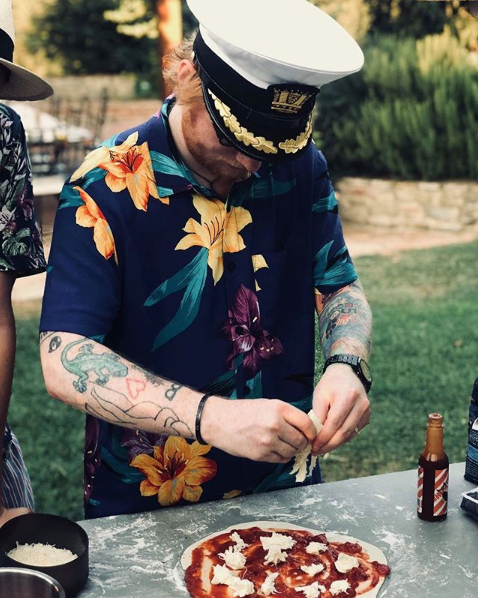 With more or less success, the food and wine adventures of fellow VIPs may have influenced Ed Sheeran's choice to jump into a new field, together with his manager Stuart Camp as a partner.